BANK PLC bettermen t and the Nation at large. operational efficiency while providing the appropriate service standards. functioning and adequacy of existing controls. risk and in implementation and management of operation risk within the Unit. (current/potential), and build relationship with existing customers. suspense accounts and stamp accounts.  Maintain all the required Branch registers as stipulated in the operational manuals.  Ensure signature books (both own and correspondents) are properly kept and updated. Dept staff rotation) in consultation with the Branch manager.  Ensure that all Operational Procedures are adhered to by all branch staff.  Print and verify Journal of accounting entries on daily basis.  Follow-up and ensure that all Revenue due to the Bank is collected without a fail. ensure adherence to Branch standards.  Ensure proper handling of customer’s new ATM cards as well as ATM captured cards.  Ensure timely submission of Branch reports/returns to Head-office as required. d) Raise awareness of Money Laundering prevention by training all branch staff.  Co-Custodian of Vault Cash.  Safe custodianship and BCP (Branch Continuity Program) custodian. monitoring plans for Operational Risk Management.  Ensure tidiness across the branch premises and clean-desk policy is exercised.  Perform any other duties as may be assigned by Branch manager from time to time.  Ensure proper filling of customer credit documents and correspondents. from any recognized University or equivalent. 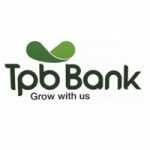 TPB Bank PLC has a strong commitment to environmental, health and safety management. AVOID SCAM S: NEVER pay to have your CV / Application pushed forward.